« Canyon Essentials Course (ACE-L3) Los Angles, CA – On a Thursday! This is the only course of its kind being taught in America! Tuition includes camping, elaborate handouts, and a Certificate of Completion! It will begin at 7am each day and will finish around 3:00pm on Friday and Saturday, and at 5:00pm on Sunday. This course will be challenging … and empowering! Canyons with strong current, water volume and hydraulics pose dangers that dry canyons (Class ‘A’) and low-flow, or standing-water canyons (Class ‘B’) do not. This course provides skills, knowledge and experiential training FOR exactly that type of environment, IN exactly that type of environment. We’ve taken the relevant skills from a Swiftwater Rescue Course and combined them with the relevant skills for Canyoneering in Class ‘C’ canyons and have produced this hybrid Swiftwater Canyoneering Course! IN ADDITION to the above technical requirements, you MUST BE A STRONG SWIMMER! This course does not teach you how to swim. 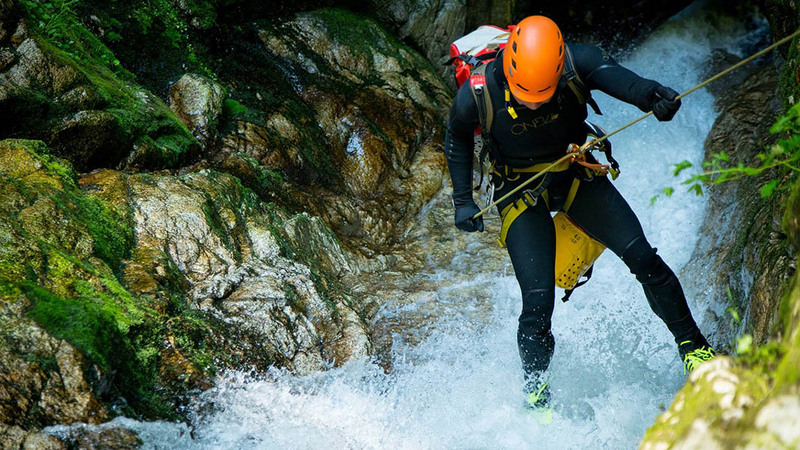 Tuition: This 3-Day Swiftwater Canyoneering Course is $595 per individual. A $100 non-refundable deposit will reserve your space in this class. While the deposit is non-transferrable and non-refundable, it may be put toward a future course in the same calendar year if 30 days notice are given, canceling your participation. If 30 days notice are not given, the balance of $495 will still be due whether you attend the course or not. Feel free to post any questions on this event or send me a greeting/e-mail through meetup. Instructors: In addition to Klaus Gerhart and Jason Marvin, Uber Adventures is bringing in a dynamic Swiftwater Rescue Instructor, Kevin Hawkins, for his experience and expertise!